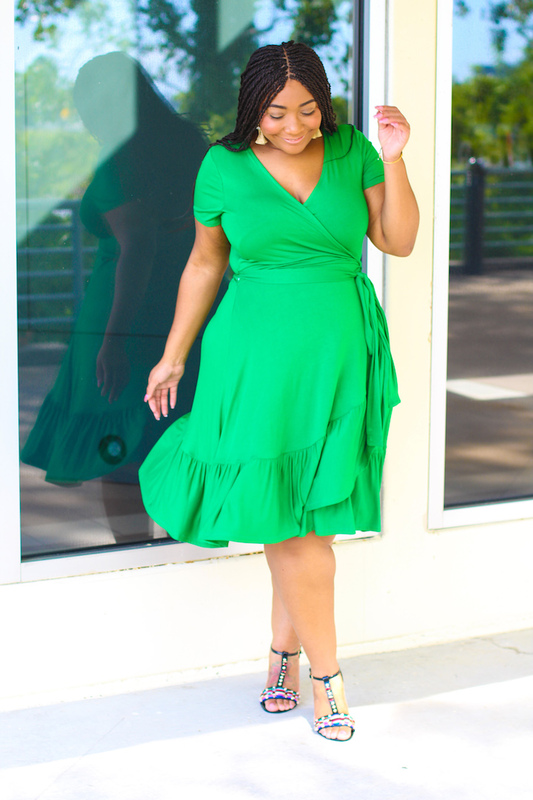 I am so excited to bring you all a new Fashion Friday post! 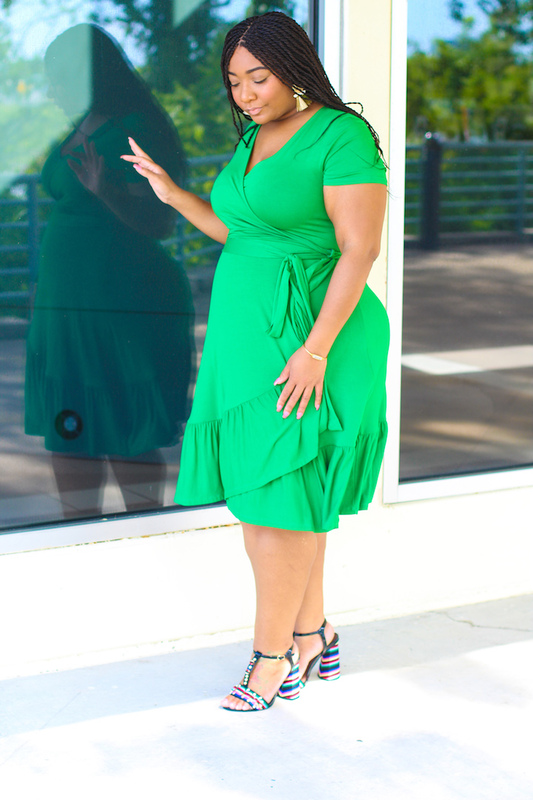 It is all about this green wrap dress and rainbow block heels!!! 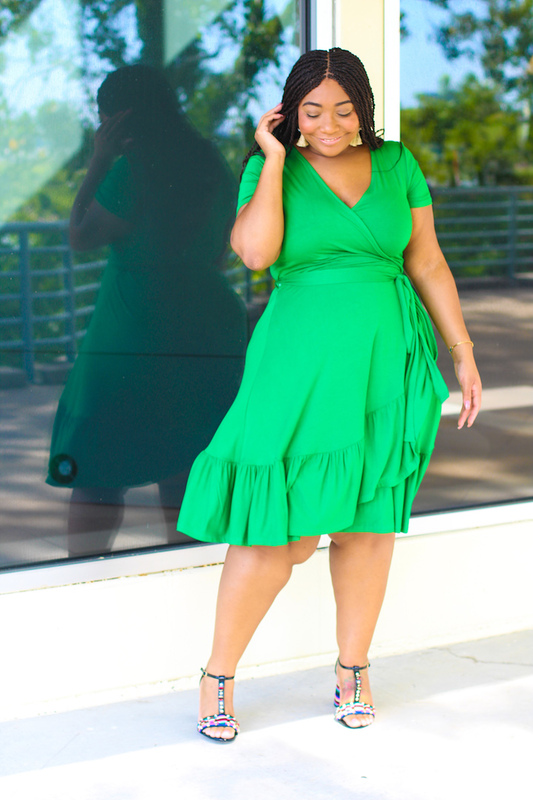 The color of this dress immediately made me think of how amazing it would look on my skin! It is perfection! Then the rainbow block heels had me sold and I needed them both. They came from the same site, by the way! 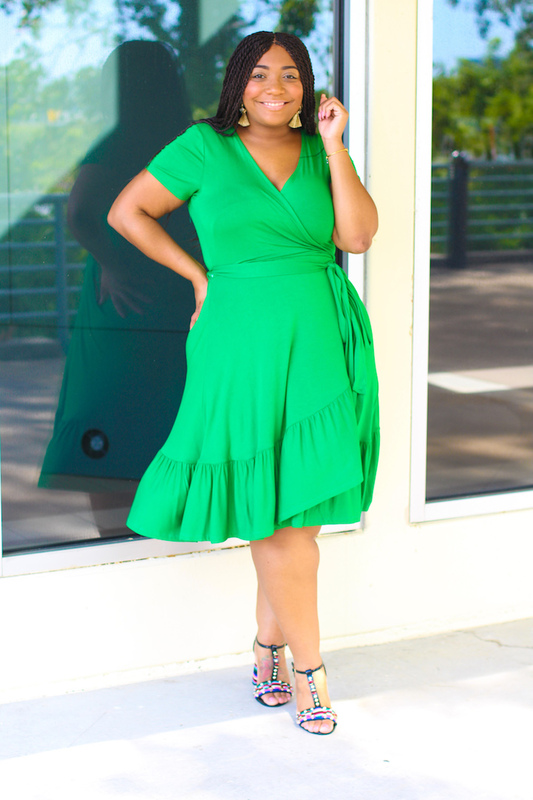 I have always been a fan of wrap dresses. They are super cute for work and play. 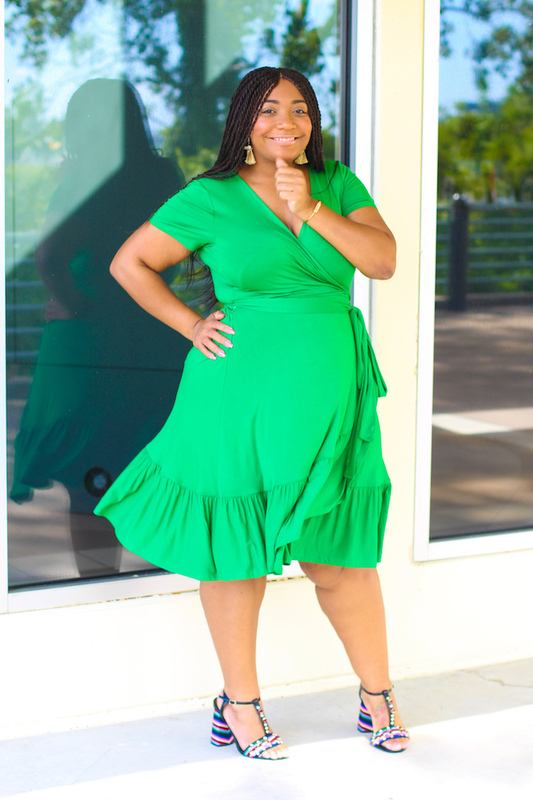 This green wrap dress is giving all the date night vibes. 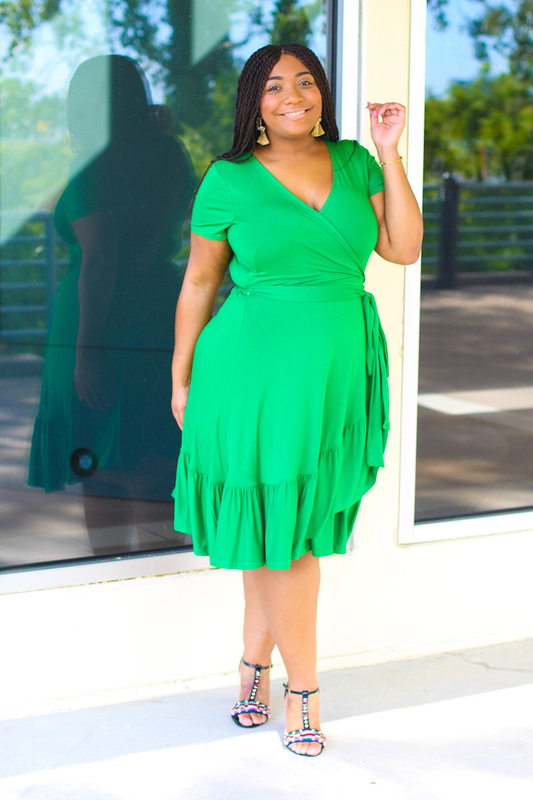 I can definitely see myself stying this wrap dress with some tights and booties for the Fall. 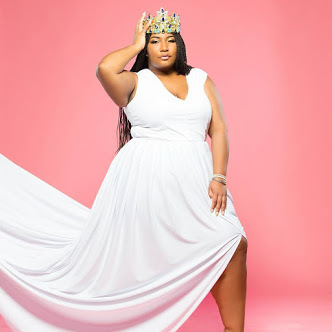 Wrap dresses look amazing on all body types, have you tried a wrap dress? Now these rainbow block heel sandals were a dream! I was so excited to see how well-made and strudy they were. Now I will say that with these sandals being over 4 inches tall, for me these are some cute sitting down shoes. With all of the beautiful colors I am already planning to wear these rainbow block heel sandals next Spring. Styling these two items together were super easy and completing this look were some super cute gold tassel earrings (similar). 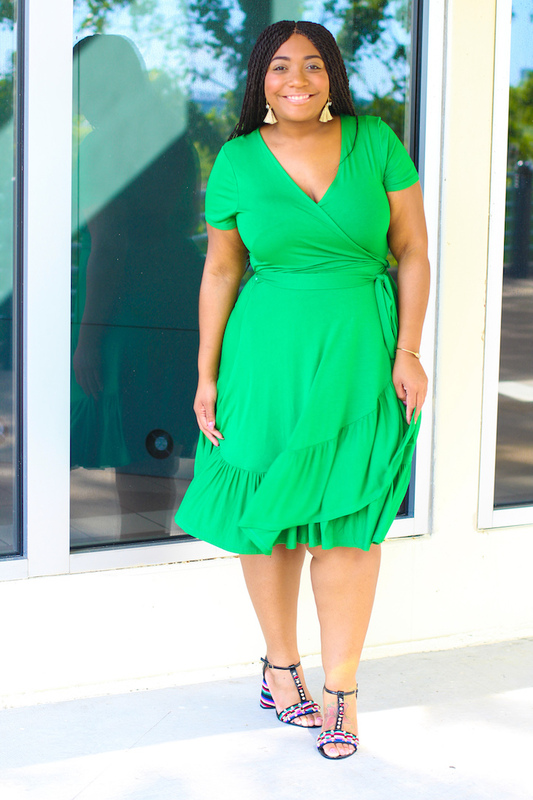 Style Notes: My green wrap dress is true to size in a 16. My rainbow block heel sandals are a 9 wide and seemed a little small. I am not sure if its because I am pregnant or if the shoe runs small.